Every traveler understands well that backpacks are ideal travel bag. There is nothing wrong with suitcases, but there are ideal only if you are going to beach resorts or city destinations. Duffels are ideal for short trips. But there is nothing as flexible as a backpack. Whether you are getting your first bag, or you want to replace your old one with a new one, the following tips will help you find the best backpack in the market, so that you get something that is worth your money. The next step is to choose a key type that will suit your needs. There are several types of backpacks namely, travel backpack, hunting backpack, shooting range backpack, and hydration backpack. Travel backpack– this type of bag is ideal for those who love to travel often. They are spacious and long-lasting. Hunting backpack– this bag is perfect for hunters. They are spacious enough to accommodate hunting gears, game meat, and all the tools you need. Hydration backpack– this bag is designed to transport water as well as to make drinking efficient and convenient. Different backpacks have different features. Some have wheels while others come with frames. You also need to choose the additional features you will want your backpack to have. However, the more features a bag has, the more expensive it is. So, look for what is important. If you are planning to carry a tablet or a laptop, look for one with special compartment when the gadget fits well. On the other hand, if you want to carry a camera and lenses, then consider a bag with additional security features such as special tabs and reinforced zippers. For campers and trekkers, the quality of your bag is quite crucial. Most companies that produce camping and trekking equipment add bags in their catalogs, but they can be quite costly because of the high quality. The additional cost is as a result of the lightweight material waterproof material that is used to make the bag as well as the frame where the straps are mounted. Normally, walking involves carrying lot weight as compared to other types. You should try a couple of brands to make sure that the straps and frame are comfy on your back. Those are used to carrying a large backpack, also bring a small backpack, especially when they are going on a short-term trip. There are two types of daypacks. There are specially made daypacks that are fitted to the back of the primary backpack or the foldaway bags that are attached inside the primary backpack. Most trekking bags come with specially designed daypacks that are fitted to the backpack. The best thing about daypacks is that they are ideal for all kinds of travel. They are flexible with short-term vacations, without the need to carry a bigger baggage. You can leave the main bag in the storeroom and your hostel or hotel or the locker at the airport or the bus station. After considering all other factors, you need to consider the amount of money you have before you purchase your backpack. After considering main features and extras, you will probably have narrowed your search to a couple of brands, and their prices obviously differ. Remember, cheap is not always the best, it can be very expensive, especially when looking for a backpack to purchase. A good brand will cost you a lot but will last for a longer time as compared to a cheaper and low-quality product. Therefore, let price be your last determinant of what you want to buy. The amount you pay should be equal to the quality. It is important to know the types of bags available. This will help make your search easier, and help you find the right bag for you. The above tips will help you get the right backpack for yourself. It can be difficult and confusing to find the right backpack, especially if you don’t know what you want. A good bag will serve for a long time. 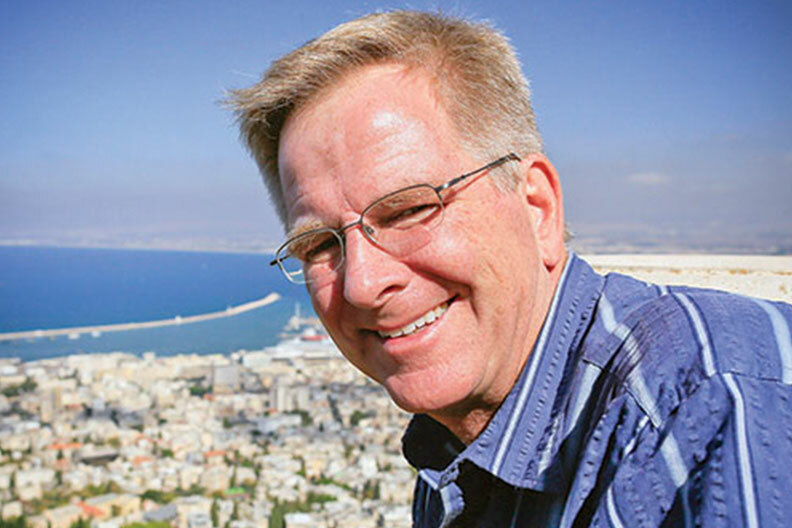 Rick Steves who has hosted the travel series ‘Rick Steves Europe’ is an American television personality, travel writer, journalist-activist and author. He was featured many prestigious publications because of providing numerous travel guides. He wrote many guidebooks and television show about traveling.